To add a tag to a set during a workout on TritonWear Live, navigate to the individual swimmer view, then click the tag icon on the applicable set. To add a tag during a Motion Analysis session, navigate into a synced video, then click the tag icon in the upper right corner. 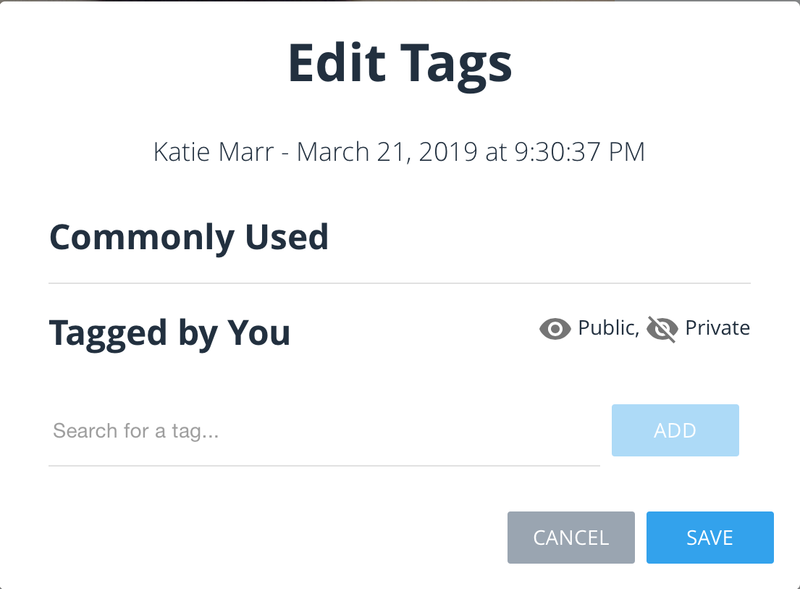 With the tag pop up box open, create your tag by either selecting a commonly used tag, or creating a new one. You will be able to recall and search these tags in TritonWear Insights. Learn more about managing your datawith TritonWear Insights.